Boston Celtics: Field Goals 48-93 (51.6 percent), 3PT 14-38 (36.8 percent), 53 rebounds, 32 assists. Los Angeles Lakers: Field Goals 44-91 (48.4 percent), 3PT 5-27 (18.5 percent), 47 rebounds, 28 assists. 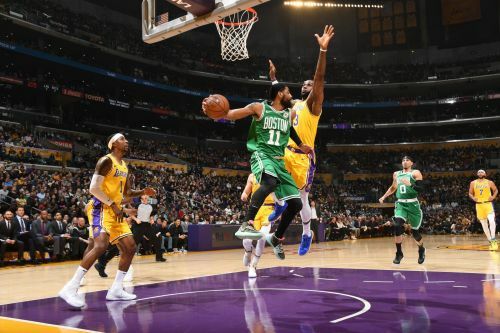 The Los Angeles Lakers seem to go downhill with their playoff hopes when they dropped to Celtics for their fifth consecutive loss. The Celtics marked their third consecutive win with Kyrie Irving leading the way through the West coast. 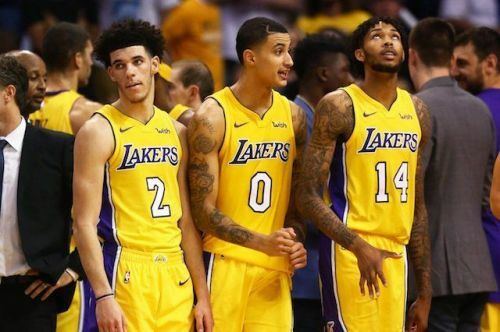 Lakers entered the game without starters Kyle Kuzma (right sprained ankle), Brandon Ingram- who is now reportedly out for the season with deep venous thrombosis in his right arm and Lonzo Ball- who is struggling to recover from a left ankle injury suffered in January. With LeBron James on the watch, Lakers put a valiant effort but came up short in closing the 2nd and 3rd quarter which eventually finished with Lakers losing by 13 points. LeBron registered his 80th career triple-double with 30 points, 10 rebounds and 12 assists in 28 minutes. Moe Wagner who was part of the starting line-up for the first time finished with a career-high 22 points. Johnathan Williams added a double-double off the bench with 18 points and 10 rebounds. Boston came in hot with their defense limiting the Lakers to 48 percent field goal conversion and forcing turnovers and decisive times. Their perimeter shooting worked well all night despite competitive defense from the Lakers. They converted 14 triples at 36 percent shooting and scored only 42 points in the paint and 10 points at the free-throw line. Irving rode the Celtics tide with a game-high 30 points. While Marcus Morris and Marcus Smart added 15 points apiece with Smart shooting 4-for-6 from long distance. Gordon Hayward scored crucial 15 points off the bench for Boston. LeBron James missed 17 straight games when he suffered a groin injury while playing against the Warriors on Christmas. When he came back, played the All-Star weekend, and claimed with optimism that his "playoff mode has been activated" he had the eyes of NBA media to how the Lakers capitalize to clinch a playoff berth. But the start which the Lakers were dying to find is nowhere near after losing five consecutive matches in the first week of this month. Adding to the disaster, Ingram was diagnosed with a blood clot in his arm. Ingram had missed two games with a sore shoulder and then was examined by the Lakers’ medical staff on Friday. Lakers point guard, Lonzo Ball has also been ruled out for rest of the season with a left ankle sprain. He will be re-evaluated after 2 weeks but the management has decided to shut him down for the season. Kyle Kuzma (ankle) and Lance Stephenson (sprained left second toe) also missed the Celtics game due to injuries. With their key players out and captain James restricted to minutes of play, Lakers will look forward to motivate themselves and make one last push to clinch the eighth seed which they are already lagging by 7 games to Los Angeles Clippers.